​​Watford have reportedly completed the signing of Serbian wonderkid Filip Stuparevic from FK Vozdovac, beating out the likes of ​Juventus and Valencia. According to ​the Mirror, the Hornets are now set to pay over £2m to secure the services of the highly-rated 18-year-old Serbian youth international, who will join the club in January. Having made his debut in the Serbian SuperLiga at just 15, the talented striker has become a regular member of Vozdovac's senior squad in his homeland and is widely tipped as one of the stars of the future for Serbia. It looks like #WatfordFC are signing Filip Stuparević  from FK Voždovac. However, there was controversy when he made his debut at 15 - making him the youngest SuperLiga player ever - as the competition later ruled that no player under the age of 16 can feature in the senior competition, and Vozdovac were punished. Their 0-0 draw against Spartak Subotica was awarded as a 3-0 official victory to their opponents, due to Stuparevic's unpermitted appearance in the 88th minute. Stuparević just turned 18 on 30 August, but has already made 45 appearances for Voždovac in Serbian Superliga. He made his senior career debut on 23 July 2016, while he was still 15 years old, for which Voždovac lost the match 3-0 (players need to be at least 16). Since making his controversial debut in July 2016, Stuparevic has made 27 legitimate senior league appearances for his club, including 18 this season. The young striker also netted his first senior goal this season. Stuparevic has been very impressive at youth international levels for Serbia, having represented their U-16 and U-17 teams. Across the two age categories, Stuparevic has scored a total of 13 goals from 30 appearances. He has also featured twice for the U-19 team, and has recently made his debut for the Serbian U-21 squad. Following his move to Watford, the 18-year-old will likely be viewed as a hot prospect for the future and so will probably be used as a backup for current strikers Troy Deeney, Andre Gray and Isaac Success. 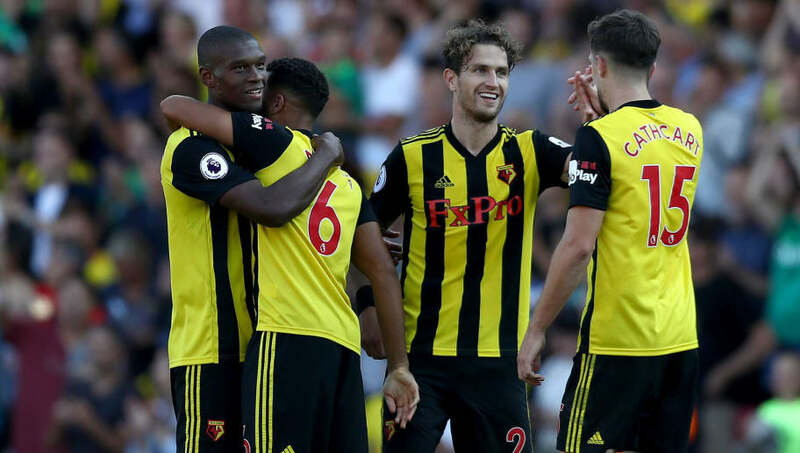 So far this season, Watford have performed well above expectations, achieving a perfect record of four wins from four ​Premier League matches.